Panache would love to thank everyone who came out to all our events at SXSW. 2013 was another smashing success! Our artists won over the hearts of hundreds of fans from across the globe who had traveled to Austin for one crazy weekend of music. Congratulations to our New York agent John Bohannon for his feature in the New York Times where writer James Mckinley explored the life of a booking agent at SXSW seeking out new talent. You can check out that article here. 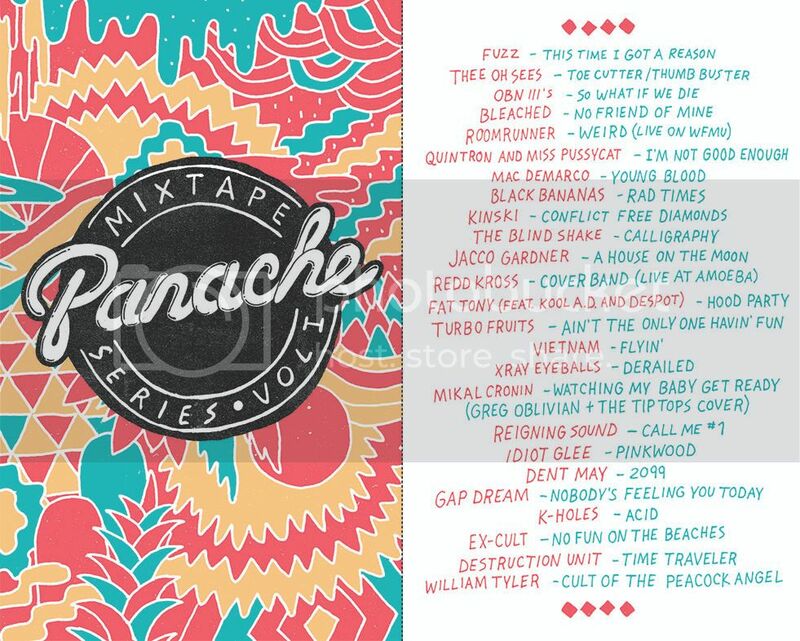 Panache announces Cassette Mixtape Series Volume I featuring unreleased tracks from Thee Oh Sees, Mac Demarco, Mikal Cronin, Redd Kross & more. Panache announces their first official cassette mixtape available now!!! Volume I features mostly unreleased tracks from 25 Panache artists including Thee Oh Sees, Mac Demarco, Reigning Sound, Fuzz, Fat Tony, Bleached, Mikal Cronin, Redd Kross & more. Limited run, only 650 in total. One time only pressing!! Only 100 for sale online! Will sell out! $7 + $2.50 Shipping — Purchase Below — PLEASE NOTE THESE WILL NOT BE SHIPPED UNTIL THE WEEK OF MARCH 18TH. Domestic shipping only. No international orders, please. The remaining tapes will be available at our SXSW events, our official showcase info is here. These are now Sold Out! 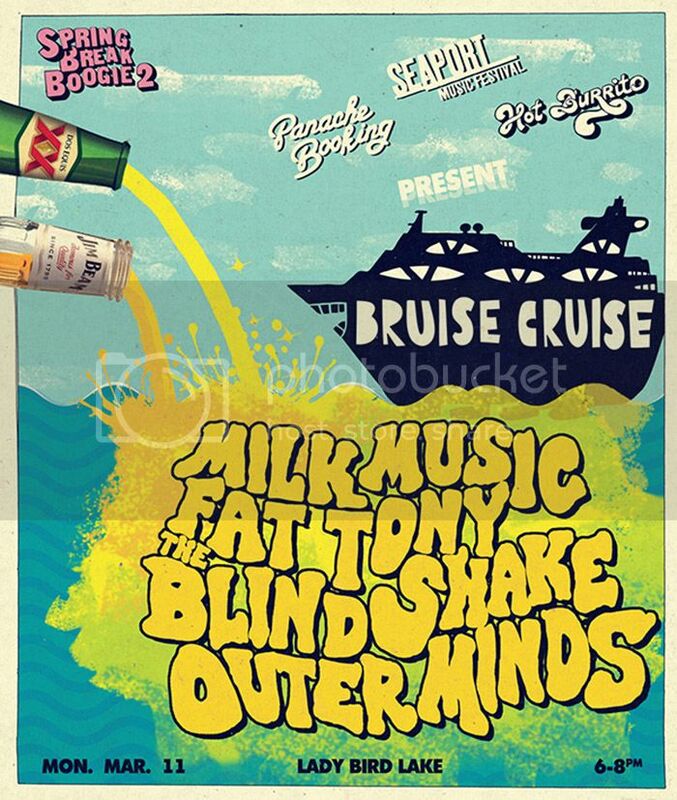 Panache is excited to announce a very special edition of the Bruise Cruise at SXSW this year. The agency will be teaming up with the Seaport Music Festival and Hot Burrito to present Milk Music, Fat Tony, The Blind Shake, and Outer Minds on a two hour cruise on Monday March 11. The boat sails from 6pm to 8pm on Lady Bird Lake. In addition to seeing four amazing artists, the purchase of a ticket hooks you up with an unlimited booze pass as you sail into the sunset with the Panache crew. Hope to see you on board cruisin’ for a bruisin’! More info here. Tickets are very limited, and will go fast, get yours here.